Entries categorized "The Making of a Surrogacy Agency"
LaMothe Services also provides Coaching, Mentorship, Training, Seminars, Staff Education, and Public Speaking events in the area of Third Party Reproduction, namely Surrogacy and Egg Donation. Our background and expertise will provide your staff with the development and training resources and the results are that your employees will be more motivated, focused, organized and realize results! Calling all entrepreneurs! LaMothe Services is offering a 2017 WINTER Special that will have you running your own Surrogacy Agency before you know it! Are you interested in owning and operating your own Surrogacy Agency but don't know where to start? Do you live in a surrogacy friendly state? Have you been entertaining the idea of becoming your own boss? Are you a 'people person' and have knowledge of the third party family building field? (Past Surrogate, Intended Parent or other A.R.T Professional) Do you believe that 2017 is YOUR year to take control of your own career path? If the answers are a resounding YES to all these questions then LaMothe Services, LLC can help you formulate a plan and assist you in building your business to it's full potential. E-mail LaMotheServices@aol.com to set up your free 40 minute consult and learn more about our WINTER SPECIAL! Or visit the LaMothe Services website for more details! I realize that quite a few agencies have a "No Refund" policy and I have to say I had one as well when I co-owned Surrogacy Consultants of Florida. But no policy is set in stone and there are always exceptions. *What if the surrogate/donor doesn't want to work with the Intended Parents that chose their profile (and the IP’s don't find any others in the database they are interested in)? *What if the surrogate/donor doesn't pass the medical evaluation (and the IP’s don't find another profile in your database they wish to explore)? *What if the clinic rejects the donor or surrogate for failure to follow medical protocol or other medically related reasons (and the IP’s can't find any others they want to work with, or don't trust the agency pool of candidates any longer)? *What if the Intended Parents have a medical or financial issue of their own and need to back out of the agency program (after just a few weeks and are not currently under contract)? *What if the donor/surrogate is not mentally able to perform her commitment and backs out before contracts are signed (and there are no other candidates available)? Lastly, an agency may insist on refunding the retainer fees back to the Intended Parents if the agency/staff feels that the IP’s are hard to please and have an impossible list of expectations that can't be met. 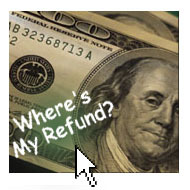 Refunds are usually not planned, however, and Intended Parents should keep in mind that a refund check could take a couple of months to receive. Remember that agencies are trying to do their best to correct problems and issues and make up for human errors that are no fault of their own. Patience is key in these cases as is understanding and clear communication. Intended Parents could also give some time to the agency to advertise for a specific surrogate or donor if a replacement is not found in the current database. Flexibility is always appreciated. Why do surrogates need an attorney? You know, you can find out what your surrogacy agency charges their Intended Parents just by asking your case manager or looking on their website. It's no secret. Agency fees are anywhere between $15,000 and $23,000 and the services that are offered are varied. I can hear you now exclaiming OMG and You have gotta be kidding me! But I am telling you the truth...ask anyone. As Intended Parents you may find a lower price out there but you get what you pay for. One thing that I do want to make clear is that although the Intended Parents are paying these fees the surrogate shares equally in the benefits of having an agency without paying a dime. Case Management: hot line, guarantee of returning calls and e-mails within 24 hours or next business day, online/phone guidance and support, expert advice and personal meetings. Plus luncheons, retreats, gifts and other perks for the Surrogates and for the Intended Parents, assistance with travel arrangements, finding hotels, information on Visa's, Social Security numbers and other documentation for international situations etc. Let’s not forget that, for the surrogacy agency, this can be a two year+ commitment to their Intended Parents and Surrogates. The surrogate may not become pregnant on the first embryo transfer, she may miscarry and the IPs might need to be rematched, the pregnancy alone is 40 weeks and then there is the support after the birth. Running an agency is a huge commitment! What a surrogate does contribute to this sensitive process is her time and her body. She is dedicated and responsible and is expected to include her IPs in all of her medical decisions regarding the surrogacy journey. She reassures, she cares for herself and the baby she is carrying, she takes time out of her life to help another family and her agency stands behind her, guiding, supporting and educating where they can. She sets her family life aside, at times, to put this surrogacy first and all the while hopes that this life changing event will be appreciated. I believe that agency owners are invaluable and that their services cannot be duplicated. I also believe that surrogates benefit from a support system that only an agency can offer. Surrogacy is a priceless gift and being a surrogate takes a special type of woman. Someone who is willing to take risks. She should be selfless and accommodating and not nickel & dimeing her Intended Parents into the poor house. Agreed? Yes? If you are THAT woman, you are one in hundreds! Surrogacy agencies review hundreds of applications a month. 90-95% of these applicants are not qualified due to age, weight, health issues, location (their state not having surro-friendly laws), on welfare, on medications, nursing, want $100,000.00 + and some, once they find out that needles are involved, run very fast and very far away. Finding a woman who is not only qualified but really does have a place in her heart to help another family out is harder to find then you may think. Back in the day, when *I* was a surrogate, there really weren't message boards and places to compare contracts and benefits. Any payments were pretty straight up. You were reimbursed with a 'base compensation package' and you could expect all medical and legal costs to be covered plus maternity clothes, child care, lost wages, life insurance, house keeping if you were on bedrest and any travel...you know, the basics. And all seemed well in the world and IPs didn't feel taken advantage of and went along with the process. Surrogates didn't "shop" for the highest compensation in the land and for every possible wish list item to be covered. All of this, plus all of the basic expectations (mentioned before) and $25,000.00+ for a first time surrogate. Is it any wonder that a Surrogacy Agency is trying to pull in the reigns and manage expectations on behalf of their Intended Parents? On the flip side of this you do have some IPs, especially those that can afford it, offering to install filtered drinking water systems, will pay extra for their surrogate to adopt a different and sometimes strange diet, will pay for special vitamins/minerals to be ingested, will provide CDs and head phones so that the baby can "listen" to music and stories in utero, may want their surrogate to travel to be "blessed", purchase belly casting, pay for henna tattoos and professional photos of everyone involved with the pregnant "belly" that is the surrogate. This list goes on for the IPs as well. For now it is the Surrogacy Agency that is trying to keep the cost down for their Intended Parents. Unless the IPs specifically ask for certain benefits to be added, the agency uses the same base pay and general expenses that every surrogate deserves. And as a surrogate, you have to ask yourself, do I need MORE then this to help someone complete their family? Do I need more money to feel appreciated? Why am I doing this in the first place? I believe surrogacy is a priceless gift and I believe that if every Intended Parent could afford to give their surrogate a million dollars, they would. The fact remains that surrogacy is a very costly endeavor and although the financial aspect is distasteful to discuss when talking about babies and pregnancy, someone in the process has to ask how much is too much. "I can't believe that just when I want to help someone else as a surrogate and give the ultimate gift I am rejected by 3 agencies because my BMI is too high! What is the deal here? I was 42 lbs overweight with my last 2 kids and everything was just fine! I think I'll go indy!!" Oh, you just don't know how many times I have read this, heard it, or have talked about these 'weighty' issues. If you think I am quoting Y.O.U. believe me, I am not. You just happen to fall into a very large category of rejected surrogate applicants. A BMI below 18.5 is considered underweight. A BMI of 18.5 to 24.9 is considered healthy. It doesn't feel very good, does it, to be called obese. Because that is what it means when your BMI is over 30. So we all know that obesity is a huge problem in America and the "side effects" of being obese are numerous. The agency doesn't want to put your health in jeopardy, nor do they want the RE's office to think that they find women who are obese acceptable as surrogates. Women who want to become surrogates need to be as healthy as possible and taking care of your body is high on the list. If you don't know this already one of the side effects of obesity is...guess...premature birth risk. "A new Journal of the American Medical Association study found that obesity increases a woman's chance of having a preterm baby, especially when her body mass index is 35 or higher. The study's authors speculate that having too much fat may inflame and weaken the uterine and cervical membranes. Whatever the reason, it can have devastating effects. Premature birth is the leading cause of infant death and long-term disabilities." Quoted from ABC News. So, if you really want to be a surrogate then help yourself first and get into the best shape you can now. Don't judge how your own pregnancies went because a surrogacy journey has many more medical layers and a lot more money and people involved. Most of all, don't take this 'rejection' to heart. This IS something you can control, change and be better off once you do. "Why do you want to come here? To my house? Can't we meet at the McDonalds with the playland and talk there?" The home visit that a case manager (CM) arranges with a potential surrogacy candidate is truly an important part of the relationship building process between you and your new agency. If you have made it to the home visit portion of the application process then you are being taken very seriously as a potential match for waiting Intended Parents. What is a case manager looking for by coming to your home? You may be surprised. It starts with your neighborhood. Is it in a "safe" part of your town or city? Is it clean and seem "kept up"? Do you own your own home or do you live in a complex? When you open the door, are you dressed for company? Does your case manager get a good first impression or is your living space disorganized and smell of cigarette smoke? Is there a place to sit and chat or is it hard to find an area clear of clutter? All of this is observed within the first few minutes of finding a place to park and entering a surrogates home. The eyes and ears of a case manager are the eyes and ears of your potential Intended Parents. IP's want to be reassured that any woman that they are working with lives in a safe and healthy environment. This does NOT mean that you have to own your own home or live in a gated community but it does mean that you care about yourself, your family, and your surroundings. I have done my share of home visits and so a quick story: I made my appointment with a potential surrogate a week in advance...she looked great on paper and sent photos (although she wasn't smiling in any of them so I planned to take some happier ones on this day)...talking to her on the phone was wonderful and she said all the right things. She had insurance and a job and was a single mother with her parents support. All good things. I show up at her home on time and observe that it was in a decent middle class neighborhood and the house was a single family home and other then the lawn needing a trim, looked fine to me. Now remember, she knew for a WEEK that I was coming over. She answered the door and I got the one-two punch! The smell of urine that hit me first almost made my eyes water and the fact that her smile included at least 7 cavities in her front 8 teeth. I smiled and went inside. You have to know that I wanted to leave then and there but decided to go on with the appointment. She had her 18 month old in front of the TV with a sippy cup full of Coke. (I asked and she told me that was the baby's favorite drink and if she didn't get it she would "bug" us all through our visit.) Trust me when I say that I DID NOT want to sit on her sofa that was so stained that you didn't know if it was beige, brown, or coffee colored. The trash and dirt in the place was unmanageable not to mention that it wasn't helped by a large German Shepard jumping all over the place. I asked to use the bathroom, as part of my routine, and it was worse then any gas station restroom I had ever visited. Without going into any more detail, this woman was rejected. I actually went through the educational process with her faster then I have ever explained anything before and then left. I called her from my office later that day and had a heart to heart with her about everything from her dental health to her living conditions. I hope to this day that I did her a favor. Having shared that story with you, I am hoping you can see how important it is to a case manager to be able to accurately describe a surrogates surroundings to her potential Intended Parents and reassure them that she lives in a safe and healthy environment. They may actually come to visit their surrogate themselves and for the agency to know that they have thoroughly vetted the living conditions of the woman who will be carrying their baby is crucial. _Declutter your home just to the point where you don't have piles of bills and magazines stacked on the tables and counters. We know you have to LIVE there! _If you are a past surrogate and have photos to share that would be great! I would love it if you have any experiences that you would like to share and what would make a home visit comfortable for you! Does the GS have her own children and is she parenting them? What is her height/weight ratio? If she is overweight will that be acceptable to the clinics that the agency/IPs work with? What about other health issues, past and present? Is the GS currently breast feeding? Is she willing to stop if she is? Is the GS on Medications? Is she on medicaid or any other financial assistance? Does she have clearance from her OB to become pregnant again? And the list goes on. Needless to say if a candidate is qualified after the initial paperwork and phone call then a background check is next and then the home visit. A review of her insurance policy is important too and often takes a couple of phone calls to confirm if a surrogacy pregnancy would be covered or not. Case managers put a lot of time and effort into making sure a potential surrogate can make it through the next two important hurdles, the psychological evaluation and the medical exam. By this time a surrogate most likely has had her profile shared with 2 or more sets of Intended Parents. (A profile has been made that includes her pregnancy history, photos and hobbies). Some surrogate candidates have their applications at 2 or more agencies without the case managers even knowing that she is "shopping for IP's". Each agency is investing their time and money into each applicant that is accepted and truly putting the best interests of their surrogates first. Needless to say that it really isn't fair to be playing the field, so to speak, and it can be heartbreaking to Intended Parents who are counting on a match based on the agency's belief that their surrogate(s) are dedicated to them alone and then finding out later that wasn't the case. Everyone working in the field of Third Party Reproduction knows how sensitive and serious the issue of working with a surrogate is. In most cases she's a stranger to the IPs when they are matched via an agency. Honesty up front, is the best policy. As a woman who wants to become a surrogate, please consider all of the people and steps behind the scenes and all that it takes to get to the contract phase. The agency is here to work for YOUR best interests and they are only as good as the information you provide. I think every agency needs to tell their new surrogates what exactly is happening to their profile once a woman is accepted as a viable candidate for waiting Intended Parents with that agency. I think that it would be an important educational tool because some surrogates are not loyal to one agency. They are often times listed with 3 or 4 agencies without anyone but that surrogate knowing about these other commitments. And it is a commitment. What is happening behind the scenes is that the potential surrogate's profile is being shown to waiting IPs. The IPs are assuming that this candidate is exclusive to a single agency and they start to consider working with the person/profile that the case manager sent them. The IPs look forward to the prospect of speaking with someone that may be "the one" and getting to know more about her and her family. In the meantime this same surrogate has her profile at other agencies for other IPs to consider as well. With the waiting list at many agencies so long, IPs who have been waiting months to see even a glimmer of the hope of a match get excited at the prospect of finally moving forward on this very long journey. For some surrogates, however, a match comes quickly. Their application can be accepted in one week and they are "matched" in the next. I think that if surrogates knew how damaging it is to have a application at several agencies at once, with their profiles being shown to several IPs who are searching for someone to help them, they would stop and think before being dishonest about their actions. If a surrogate wants to be listed with several agencies then it would only be fair that she tells everyone that she is keeping her options open until she finds the right match for her. (This would have to be before the psychological evaluation and the medical screening as those are both costly) Needless to say that there is nothing wrong with trying to find a great match however, when you are listed with several agencies at once, all are working on a match and really are spending time, money and resources on making sure you, as their surrogate are represented in the best way possible.